It's very difficult to find a laptop that can easily be turned into Hackintosh. As mentioned in our Hackintosh compatibility guide, most laptops aren't good Hackintoshes, because the compact design of laptops makes it very difficult to replace non-compatible parts. With this in mind, we are proud to introduce our long overdue list of Hackintosh-compatible laptops for 2013 and 2014. 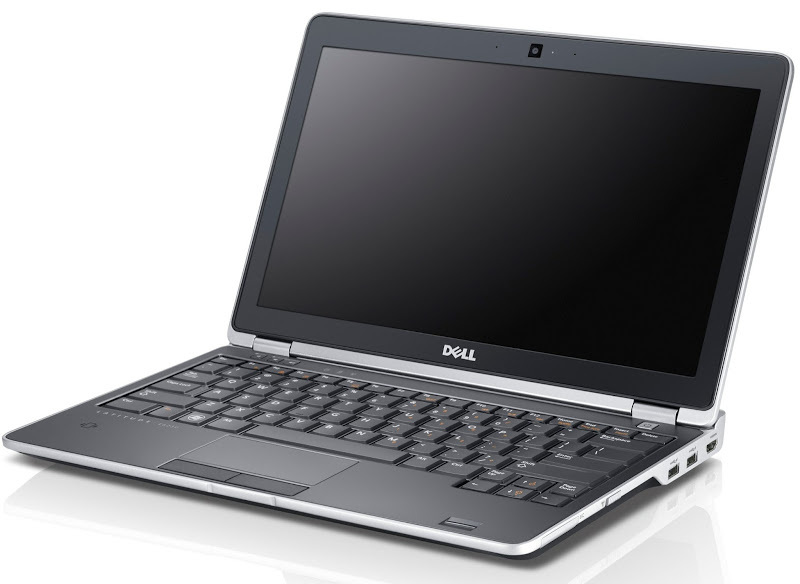 LATEST UPDATE (June 10, 2014): Added Dell Latitude laptops to the list. What You Get: The HP ProBook 4540s is a standard sized laptop with a 15.6-inch screen at 1366x768 resolution, and a pretty great keyboard. At 2.4 kilograms and 3.4 centimeters of thickness, the 4540s isn't the lightest or prettiest laptop in the bunch, but it's reliable enough for everyday use. There are multiple models that use different 3rd-generation Intel processors, varying from the lowest-end Core i3 to the highest-end Core i7. 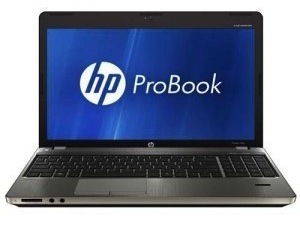 Overall, it's a very diverse selection; no matter what you're looking for, the ProBook 4540s line will probably have the right laptop for you. A few models include discrete graphics cards, but you won't be able to use them-- Mac OS X only works with the integrated graphics on most laptops. The battery life for the 4540s on Mac OS X is about 3-4 hours, which isn't great, but it's not a dealbreaker, either. Hackintosh Ability: As previously mentioned, the 6470b and 6570b are essentially just beefed-up copies of the 4540s, with bigger screens. 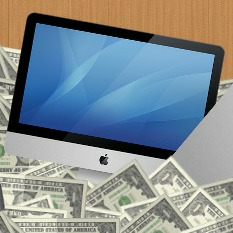 Therefore, it's little surprise that both of these models are just as compatible with Mac OS X. Like the 4540s, virtually every feature of the laptops works in Mac OS X: sound, graphics, power management, sleep mode, the HDMI port, HDMI audio, the battery meter, USB 3.0, USB 2.0, ethernet, multi-touch gestures on the trackpad, etc. Other working features include the Displayport and the card reader (as long as you disable Firewire in the BIOS of the laptop)-- the 4540s doesn't include either of these features. Fortunately, the installation process for the 6470b and 6570b is just as easy as it is for the 4540s: install Mac OS X with Unibeast, and then run the ProBook Installer. The installation process isn't exactly as well documented as it is for the 4540s, but the ProBook Installer makes it easy enough overall. However, the same caveats for the 4540s also apply for these laptops: for WiFi (and Bluetooth) to work properly, the WiFi card needs to be replaced. And it's also unclear how well the external microphone, camera, VGA port, and brightness levels actually work. What You Get: The Lenovo U310 and U410 give you the same specifications as most mid-end laptops, except in a thinner and lighter package. With 13.3-inch and 14-inch screens, respectively, both of these "ultrabooks" are essentially designed as lower-cost alternatives to Apple's own high-end 13-inchers. While neither laptop is quite as tiny as a standard 13-inch Macbook Air, both are relatively compact in their own right, especially compared to their lumbering counterparts from the HP ProBook line. Both the U310 and U410 use 3rd-generation Intel processors and integrated Intel HD graphics-- while the U410 includes a discrete NVIDIA graphics card inside, Mac OS X won't be able to use it. The battery life is 4-5 hours in Mac OS X, which is relatively standard (and slightly better than what you get from the HP ProBooks). 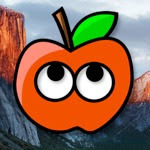 Hackintosh Ability: In terms of Mac OS X compatibility, the Lenovo U310 and U410 work just as well as the very best of the HP ProBooks. Nearly every part is compatible: sound, graphics, power management, sleep mode, the HDMI port, HDMI audio, the battery meter, USB 3.0, USB 2.0, ethernet, multi-touch gestures on the trackpad, brightness controls, and the camera. The only feature that's particularly finicky is the SD card reader, which doesn't work after the laptop wakes from sleep mode. As usual, you'll have to replace the WiFi card to have proper WiFi (and Bluetooth). 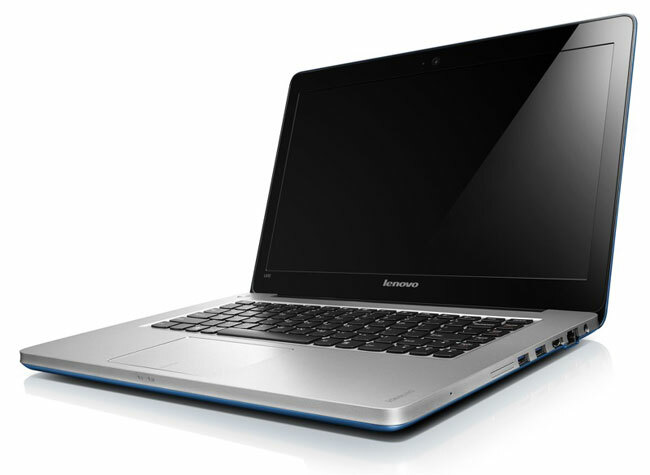 Hackintosh Ability: Like other Lenovo laptops featured on previous iterations of this list, the Lenovo G580 offers a reasonably good, if not perfect, alternative to the laptops of the HP ProBook line. Almost all of the laptop's major features work in Mac OS X, including sound, graphics, power management, sleep mode, the battery meter, USB 2.0, ethernet, multi-touch gestures on the trackpad, the camera, and brightness controls. However, the sound only works with the VoodooHDA kext, which is generally considered an inferior solution to the more standard AppleHDA kext. In addition, sleep mode is a bit finicky, but also workable. As usual, you'll have to replace the WiFi card to have proper WiFi (and Bluetooth). The only features that don't work at all are the card reader, USB 3.0, and HDMI audio, none of which are necessarily make-or-break features. Compared to the Lenovo U310 and U410, the Mac OS X installation guide for the Lenovo G580 is less complicated. However, it's definitely still not as smooth as you might like-- you'll probably need prior experience to get this laptop fully up and running in Mac OS X. After installing OS X Mavericks with Unibeast, you'll have to install some basic kexts with Multibeast, manually install a few more extra kexts, set a couple of boot options, manually patch your DSDT with MaciASL, and generate your own SSDTs-- it's inconvenient, but then again, none of these steps are particularly difficult for experienced users. Fortunately, unlike some other laptops on this list, the G580 doesn't have a BIOS whitelist, meaning that you can replace your WiFi card with pretty much anything you want (as long as it works in Mac OS X). 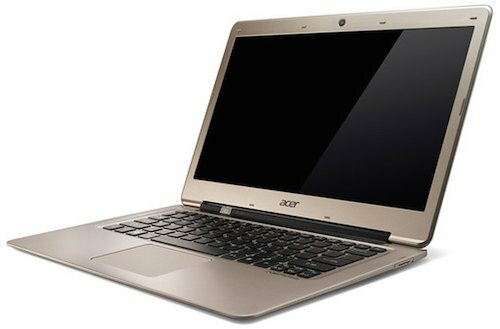 Hackintosh Ability: Although it may be less well-known than other laptops on this list, the Acer S3-391 is agreeably compatible with Mac OS X. Almost all of the laptop's major features work correctly in OS X, including sound, graphics, power management, sleep mode, the battery meter, USB 3.0, USB 2.0, ethernet, multi-touch gestures on the trackpad, the camera, and brightness controls. As usual, you'll also have to replace the WiFi card to have proper WiFi (and Bluetooth). The only feature that doesn't work at all is the SD card reader, which is no big loss. The Mac OS X installation process for the Acer S3-391 is reasonably well-documented. Certain parts of the process are rather complicated, but like the Lenovo laptops on this list, the S3-391 isn't particularly difficult to work with if you have some previous Hackintoshing experience. After installing OS X Mavericks with Unibeast and installing a few basic kexts with Multibeast, you'll have to perform some DSDT patching with MaciASL, generate your own SSDTs, patch your audio kexts manually, and install a variety of extra kexts. Most of these steps are more or less straightforward, although most of them aren't exactly easy to do. Meanwhile, replacing the WiFi card should also be reasonably straightforward, since Acer never includes BIOS whitelists in their laptops. What You Get: Dell's Latitude business laptops are more or less the same every year: middle-of-the-road in terms of hardware, unobtrusive in terms of design, and always reasonable in terms of price. There are no surprises here-- all three of these laptops in the "E6x30" series have the same 3rd-generation Intel processors and integrated graphics as each other (and the rest of this list, for that matter). The main difference between the laptops of the E6x30 series is screen size. 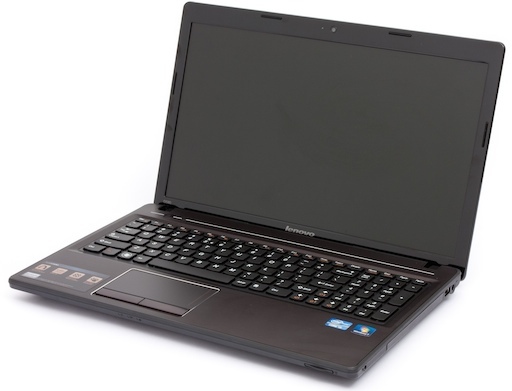 The E6230 has a 12.5-inch screen, the E6330 has a 13.3-inch screen, and the E6430 has a 14-inch screen. All three screens have the same 1366x768 resolution. In terms of size, Latitude laptops tend to lie in a gray zone between ultrabooks and standard consumer laptops. They're slightly lighter and thinner than most standard laptops (all 3 of these Latitude laptops are around 2 kilograms in weight and 2 centimeters in thickness), but they're still definitely bulkier than their ultra-light ultrabook brethren. The Windows battery life of these laptops is a decent 6 hours-- there's no word whether this is any different in Mac OS X.
Hackintosh Ability: The Latitude series of laptops has historically been very well-supported by the Hackintosh community thanks to the efforts of OSXLatitude, a Hackintosh forum that was once dedicated solely to installing Mac OS X on Dell Latitude laptops (although the website has recently branched out to other laptop brands as well). The E6x30 series is no exception to this precedent; essentially every feature of these three laptops works in Mac OS X, including graphics, audio, HDMI audio, HDMI output, sleep mode, ethernet, USB 3.0, the webcam, CPU power management, and multitouch (for which you'll have to install an extra experimental driver). As usual, the WiFi card needs to be replaced; this also means that the Bluetooth probably won't work. Finally, the battery meter may not work in OS X Mavericks, although that remains unclear. The actual Mac OS X installation process for the E6230 is pleasantly straightforward. The main complication is that you'll have to follow different installation procedures depending on what processor your E6x30 laptop uses. 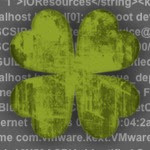 If you own an E6230 with an i5-3320M, or an E6430 with an i5-3340M, you can follow this guide on using myHack with a custom "Extra" folder. If you own an E6330 with an i5-3340M, i7-3320M, or i7-3520M, follow this guide on using myHack with a slightly different "Extra" folder. If you own an E6230 with an i7-3520M or i7-3540M, or an E6430 with an i7-3520M, follow this standard OSXLatitude guide on using myHack with the "Extended Driver Package" app. Unlike most other installation methods that we've detailed on this list, all of the installation methods for the E6x30 series involve using a pre-edited DSDT rather than editing your own DSDT file. Unfortunately, this means that only the specific models of the E6x30 series listed above are sure to be compatible with Mac OS X. There are a lot more compatible laptops in the Hackintoshing world, but most of them use outdated hardware, or don't have a coherent installation method for OS X Mavericks. This list is constantly expanding, as I find more laptops that fulfill these requirements. For now, keep your eyes peeled on tonymacx86's laptop forum, as well as InsanelyMac's own notebook forum and tutorials section.